When one thinks about photographs, one name in particular usually comes to mind – Kodak. However, the company has been absent for the most part from the photography industry since filing bankruptcy a few years ago. The once king of cameras and film has struggled to find a place during the changing technology of the 21st century. It soon lost ground to digital cameras and later to the mobile handset. In its overall plan to reinvent itself, and to emerge again in the photography realm, Kodak has made the decision to go where the pictures go. 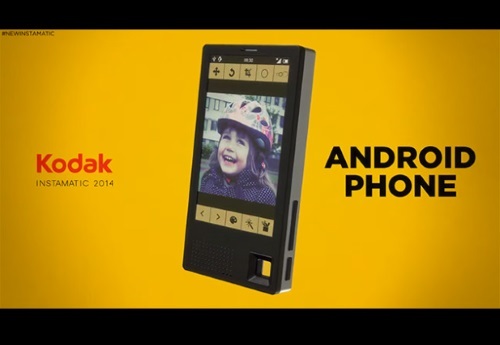 Kodak will enter the smartphone market in 2015 with its first phone. The plan will be to release a branded device by Kodak that will rely heavily on the brand name as well as optics. Since the company virtually lost all its business to the cellular phone, it appears to be attempting to fight back with the same thing. No one in the industry nor Kodak knows how successful the phone will be, but since its operating system will be the Android, it should be much more user friendly and marketable than the failed attempt by Amazon with its Fire Phone. Kodak is to debut its device in Las Vegas January 6-9 at the Consumer Electronics Show. The new device is to carry the Kodak name, but is to be manufactured by Bullit a third party. The thought is the phone will contain impressive features on the optic side and software for photo editing, to back up the world-renowned image of Kodak. It would turn out to be a huge disappointment if the new smartphone is released with just an average camera. With Kodak being a more than capable producer of consumer electronics and its specialty being cameras, it is likely the camera it contains will be of a high standard compared to other cameras. There have been no rumors or leaks about what the features will be on the new smartphone by Kodak, but shortly the public will see how well Kodak has made its transition to the smartphone arena.